When you are not sure what to buy, what to say, or how to say or do it, we recommend that you check out the website Jen Reviews. Jen Reviews is the authority on everything food, fitness and home. All of their writers are experts in their particular niches. Their editorial team includes former Olympians, doctors, registered nurses, executive chefs, mountain guides, yoga instructors, certified dog trainers and more. Their writers’ personal experience, talent and extensive knowledge allow them to write helpful articles that comprehensively address every major consideration and pain point. Each piece of content is painstakingly researched and edited before they post and upload it. Jen Miller, Editor-in-Chief is a former electrical engineer and product specialist with more than 20 years of product design and testing experience. She has designed more than 200 products for Fortune 500 companies, in fields ranging from home appliances to sports gear and outdoor equipment. She has lived in multiple countries around the world including the United States, France, Australia and New Zealand. She founded Jen Reviews to share her knowledge and critical eye for what makes consumers tick, and adopts a strict no-BS approach to help the reader filter through the maze of products and marketing hype out there. She writes regularly and has been featured on Forbes, Fast Company, The Muse, The Huffington Post, Tiny Buddha and MindBodyGreen. I’ll make this short and sweet (no pun intended). Those of you who know me, know that I do not eat sweets and tend to pass on desserts when offered. However, there are exceptions to every rule and situation. I tasted a mini Pecan Bundt Cake and I have to tell you, that cake was so good and my moan was so loud, if you didn’t know that I was tasting a cake, you would have thought that something more intimate was taking place in my kitchen. Made fresh daily using real eggs, real butter, and real cream cheese, Nothing Bundt Cakes are hand-made, premium quality desserts with an irresistible taste and a timeless aesthetic. Nothing Bundt Cakes are available in numerous sizes to accommodate gatherings both large and small, from bite-sized Bundtinis, to single serving Bundtlets, to larger 8″ and 10″ cakes and even double-tiered cakes. In addition to cakes, our bakery features an assortment of artfully designed gifts and decorations with a playful, timeless quality to help make any occasion ever more special. Do I see tears in your eyes because there’s not a Nothing Bundt Cakes bakery near you. Stop your crying! You can order online! Click on the bundt cakes below to order online. By the way, I’m not the only “celebrity” who patronizes this tasty gourmet bakery. Singers Patti LaBelle and Paula Abdul are Nothing Bundt Cakes customers. 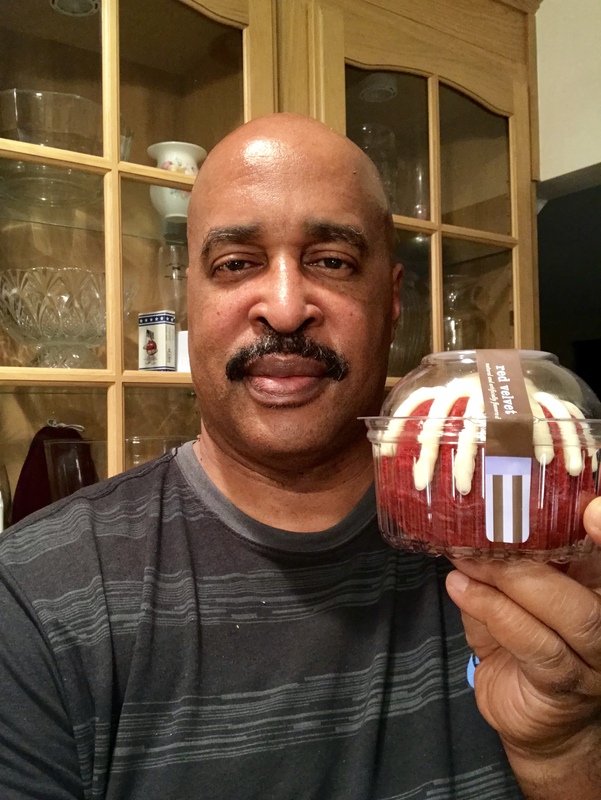 Entrepreneur France Saunders is the driving force behind Nothing Bundt Cakes gourmet bakery in Dulles, VA. Built on Founders Dena Tripp and Debbie Shwetz’s vision, this bakery has the warmth and nostalgia of its home-kitchen roots. Nothing Bundt Cakes provides an incomparable gift food product; which, when given or received, leaves a lasting impression. If you want a unique experience and some great tasting cakes, visit the Nothing Bundt Cakes bakery in Dulles today. Tell France, (seen below on the left), that Gary sent you! Hey Buddy!, I found this information for you: "LIFESTYLE – SOME OF THE FINER THINGS". Here is the website link: https://blackmeninamerica.com/lifestyle/. Thank you.